Police have seized half a kilo of cannabis - worth around £6,000 - after stopping a car on the M6. Two men from south Cumbria were arrested and bailed. A free Prom Planning Party will be held in the Crown and Mitre hotel in Carlisle next week. Exhibitors include stands on hair, make-up, tux hire and grooming, plus a selection of prom dresses. People need to register with the Wedding Warehouse for a free ticket to attend next Monday’s event in the hotel. Call 01228 595956. A family of six had to flee from their home last night after a utility room dishwasher caught fire. The alarm was raised at around midnight when the parents of the four children who live at the property in Chesterholm, Sandsfield Park, Carlisle, smelled smoke as they prepared to go to bed. Two fire crews quickly arrived at the scene and dealt with the fire. Eden councillors are calling on the Government to end the funding inequality between urban and rural areas. The council is an active member of SPARSE, a network of rural councils campaigning for a fairer financial settlement.. Leader Gordon Nicolson said: “As the most sparsely populated district in the country we have lost more than any other council from the unfair way that government calculates its local authority grants, which currently favour urban areas over their rural counterparts. Rescuers say they searched for seven hours last night before finding the body of a woman in the River Greta at 12.30am. Keswick Mountain Rescue team said they were called by police who found the car of missing woman Elizabeth Fisher at Forge Lane, Keswick. They started the search at 6pm last night, covering the old railway line toward Threlkeld and surrounding woods, as well as the river. More than 40 people were involved, together with 10 search dogs and their handlers. Police say a large red Honda quad bike which was stolen from the Little Musgrave area, near Appleby, overnight has been recovered in Darlington this morning. 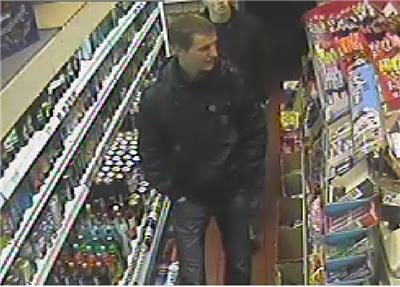 Police have released photos of a man they want to speak to after vodka and cigarettes were stolen from Greens Off Licence on Botchergate, Carlisle. They said the theft occurred between 10.20pm and 10.30pm on December 17. A Cumbrian hotel named the most romantic in the UK has announced a record number of marriage proposals since the holidays. Six couples got engaged at The Cranleigh Boutique, Bowness, since the New Year. More than 100 couples got engaged there last year after it was named the most romantic hotel in the UK and 3rd in the world last February, according to Trip Advisor. A statement released by Cumbria police this morning on the sheep theft case said, from PC Graham Thompson, the investigating officer, that " There is a level of respect between farmers and to take sheep that knowingly does not belong to you and sell them as your own is despicable. A farmer from Longtown who stole sheep worth £8,000 from a neighbour was "dishonest to the whole farming community", police said today. Robert Martin Birnie, ,46 from Sunny Rigg, Longtown was jailed for three years and nine months at Carlisle Crown Court on Monday. Cumbria Chamber of Commerce is holding its next West Cumbria Business Breakfast Club meeting at the Hunday Manor, near Workington, between 8.30am and 10am next Tuesday (Jan 21). It will include sessions on planning for growth and how first impressions can have a direct impact on customer relationships. To book, email bookings@cumbriachamber.co.uk or call 0845 226 0040. An investigation is underway after a train hit a car on a level crossing on the Cumbrian border with Lancashire last night. British Transport Police said officers were at the Slackwood level crossing scene until just before midnight - almost five hours after the collision. The vehicles were said to have travelled 300m before coming to a halt. It is believed that the driver of the car, and its passengers, got out of the vehicle before it was struck. More tributes to Penrith teacher Marian Page in today's paper as well. Morning everyone. Sad news this morning that a body has been found in Keswick as police search for missing pensioner Elizabeth Fisher. Police searching for a missing Keswick pensioner have found a body. 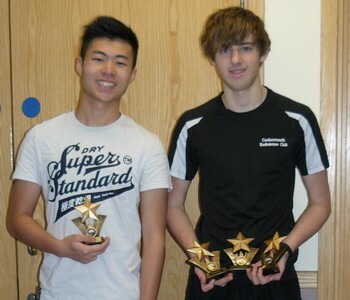 Cockermouth sixth formers Aidan Ling and Max Statter, representing Cockermouth Badminton Club, won the boys doubles at the annual county under-17 championships at Barrow. They also met each other in a singles semi-final, with Max winning before going on to claim that title as well. And to make it a treble celebration, he and Kristen Rankin, 16, of Keswick School, won the mixed doubles (photo shows Aidan, left and Max). And nationally, Virgin Trains is reporting no problems on its services either. Northern Rail is reporting no problems or incidents on its services, including in the south of the county, where a train hit an empty car on a level crossing at Silverdale last night. No one was hurt. On the roads, there's been a one vehicle crash on the Distington bypass southbound between the main A597 and Lane Croft. One lane is closed. We've no further details at the moment. But the good news is, things will become drier as the day progresses. The bad news, more rain is due later on. That, however, should move away during the night and clearer conditons, possibly with a few showers, should prevail. If you're near the Thursby roundabout this morning, take care - there's a lot of standing water on the edge facing the A595. In fact, there's a lot of standing water along the A595 from west Cumbria to Carlisle. Good morning! Welcome to Wednesday. It's a bit wet and horrible out there at the moment. It was lashing down as I drove into work.